41 earned the number two placement in Publishers Weekly’s list of bestselling hard-cover, non-fiction titles of 2014. 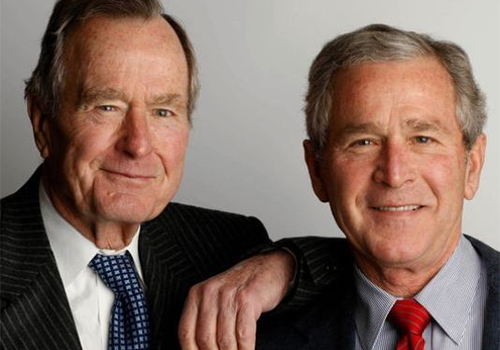 It also enjoys particular resonance with college students who may have been too young to have known the elder Bush’s presidency ─ or even very much of his son’s, but are keen to learn more about the men who shaped their post millennium world. 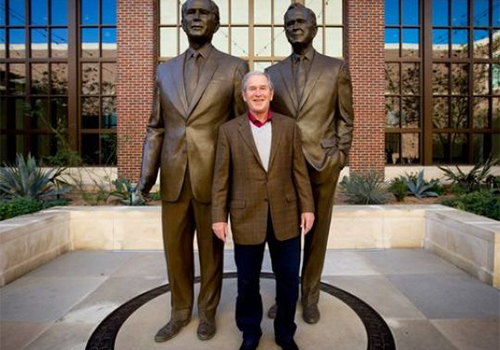 A natural epicenter of the book’s promotion has been the George W. Bush Presidential Center on the campus of Southern Methodist University (SMU) in Dallas, Texas, and where Manager of the Bush Center Museum Store, Kat McKinley, says copies of the book have been flying off the shelves. A prestigious event to mark the book’s launch was a lecture President George W. Bush held at SMU’s McFarlin Auditorium, which was attended by over 2,100 invitees. “Every person that attended the event received a signed copy of 41,” says McKinley, whose store is the exclusive provider of signed copies of the book. Although the President participated in several major book signings around the country, his appearances were limited, generating a nationwide demand for signed editions. “Every time President Bush was at a book event, we received dozens of phone calls and hundreds of online orders for signed copies of 41,” McKinley says. 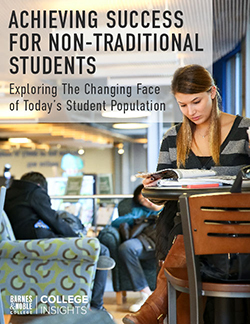 The Bushes are often on campus, and that results in an interest for more than just the latest book. “Decision Points has always been our best-selling title because it is President Bush’s personal memoir,” McKinley explains, about the 2010 autobiography President George W. Bush wrote describing the pivotal moments of his presidency and personal life. McKinley also notes that Spoken from the Heart, by Mrs. Laura Bush, is another top seller for the same reason. Mrs. Bush’s children’s book, Read All About It!, which she co-wrote with daughter Jenna Bush Hager, is another popular book at the Bush Center Museum Store, and perhaps indicates that the family’s prolific literary output is endorsed by the former First Lady’s earlier career as a librarian. 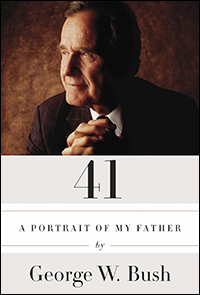 Signed editions of 41: A Portrait of My Father now top over 4,000 copies at the Bush Center Museum Store, and McKinley is pleased to be able to offer a personal touch to her customer’s book orders. “We’re really proud to be able to offer not just signed, but personalized copies of the new book,” she says, and which she individually prepares and delivers to the President’s office to sign. “Our customers are thrilled when they discover the option for personalization on our website. It’s a rare and special opportunity to own a book personally inscribed by a former President,” she points out.